The latest in a video series that showcases the unprecedented refurbishment of the Carnival Sunshine focuses on the more than 3,000 workers who hail from 40 different countries from around the globe. Comprised of Carnival employees, contractors and subcontractors, the workers have convened at the Fincantieri shipyard in Italy to transform the Carnival Destiny into Carnival Sunshine during a massive $155 million dry dock that will add a host of dining, bar and entertainment innovations. Workers are also renovating the ship’s existing 1,321 staterooms as well as creating another 182 brand new cabins which will be located above the ship’s navigational bridge. All staterooms will feature flat-screen televisions and a bright, Caribbean-inspired décor. 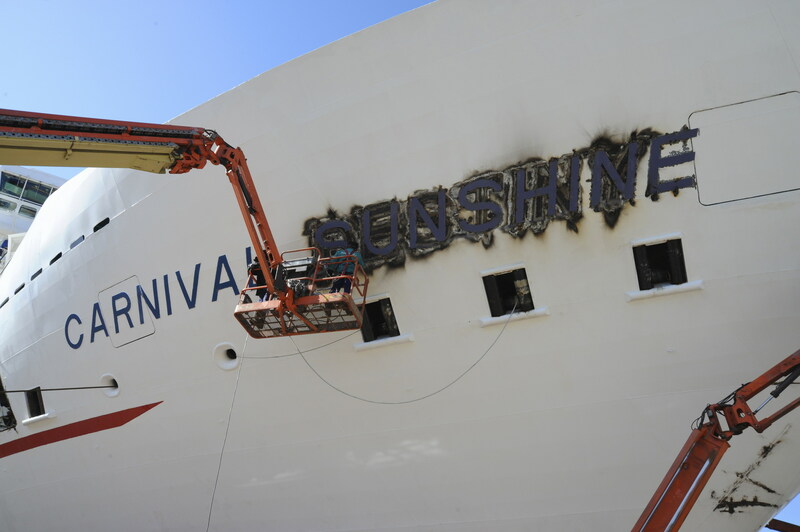 When they’re not installing Carnival Sunshine’s many new features and facilities, the workers are housed at another cruise ship located adjacent to Carnival Sunshine that they will call home throughout the multi-week renovation process. Carnival Sunshine is set to debut May 5 with a series of nine- and 12-day Mediterranean cruises from Barcelona and Venice followed by a trans-Atlantic crossing from Barcelona to New Orleans, positioning the vessel for year-round week-long Caribbean cruises from the Big Easy beginning in November.